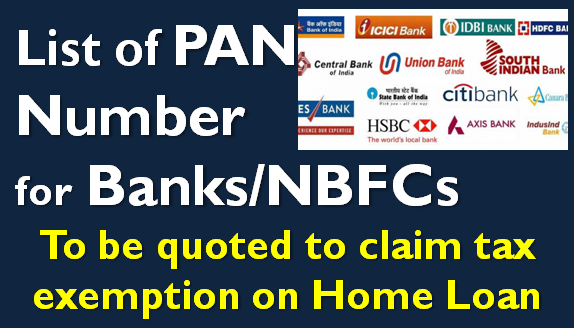 To claim tax exemption on home loan tax payers now need to quote PAN number of the bank or institution from where they have taken loan. The loan providers have now modified their home loan payment certificate which quotes their PAN Number. But in case you are not able to find it, here is a list of banks/NBFCs with their PAN Numbers. Below is the list of banks/NBFCs arranged alphabetically. Please help us add to the list. if you want to double check if the PAN Number you have is correct, you can do so on the Income Tax website for PAN Verification.